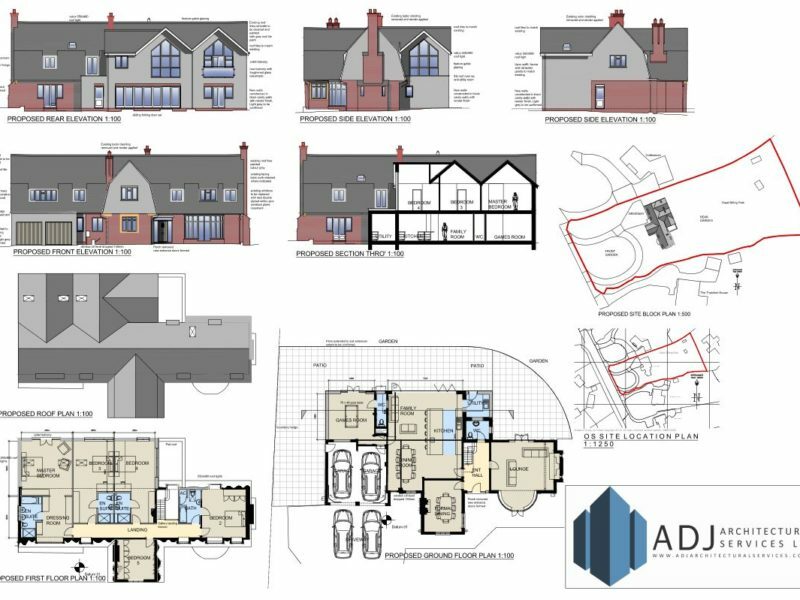 Throughout the process, we work closely with our clients to try and satisfy the brief and produce a scheme that is likely to be viewed favorably by the planning department. At this stage drawings generally contain simplified plans and elevations etc. 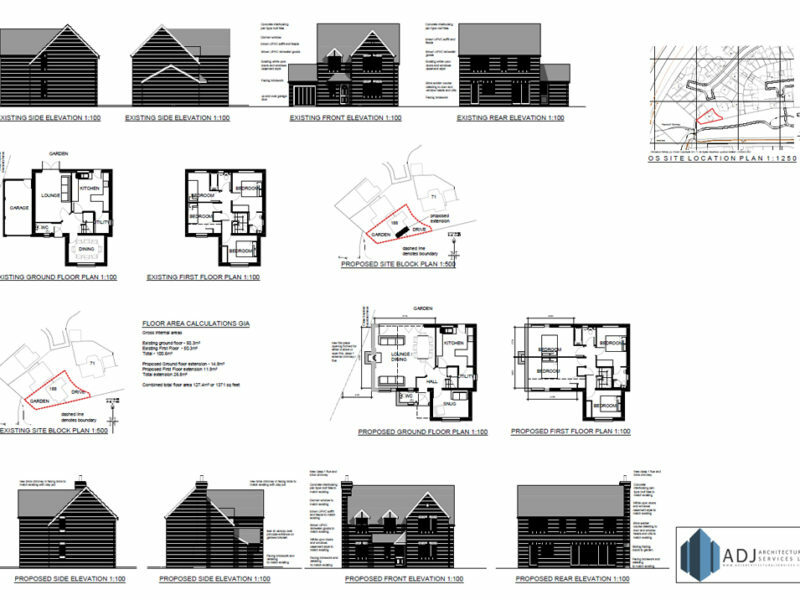 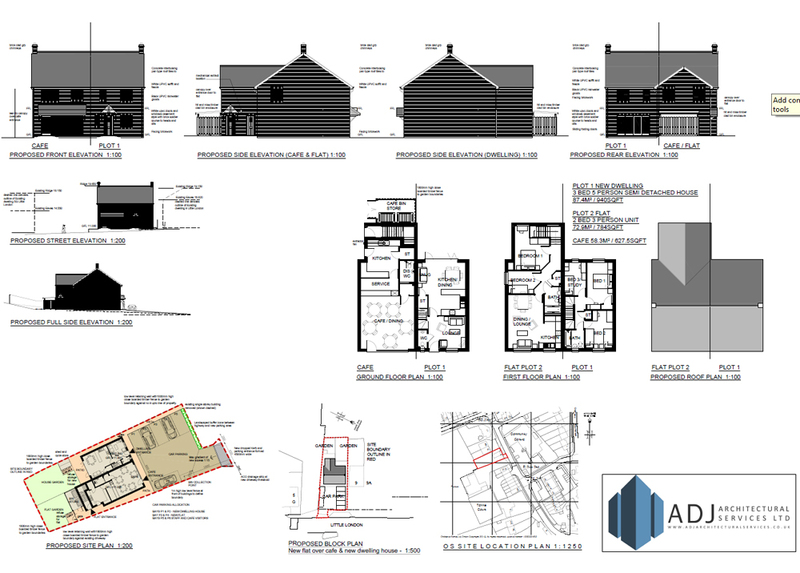 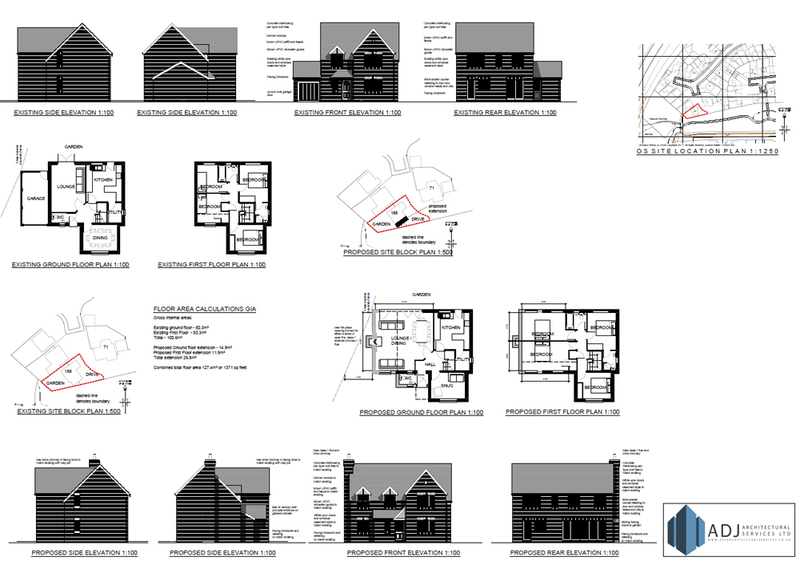 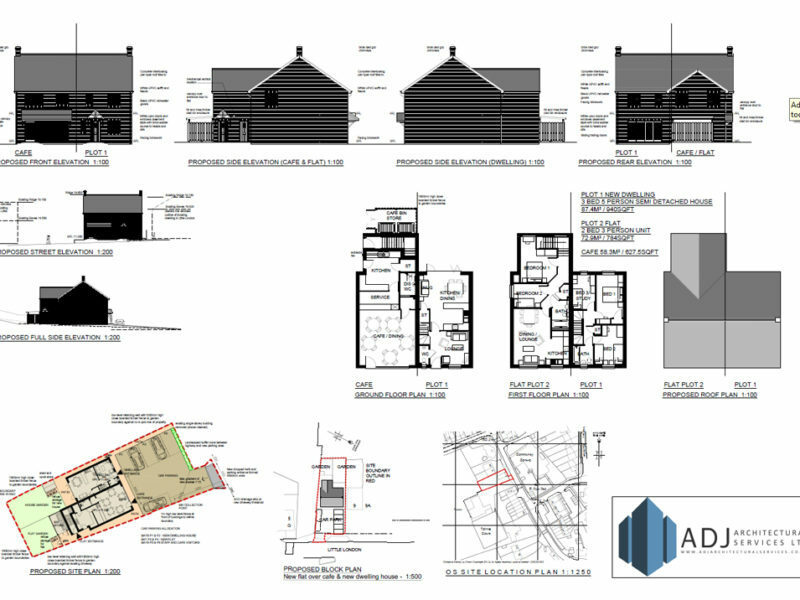 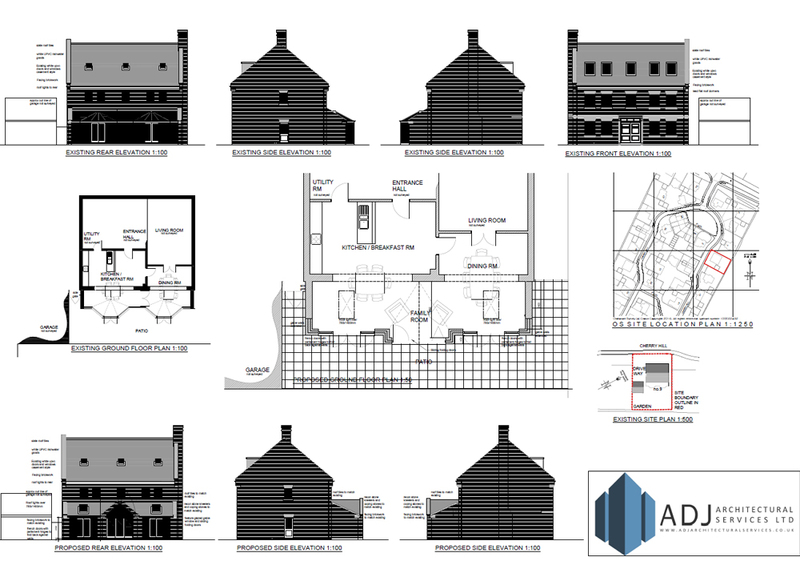 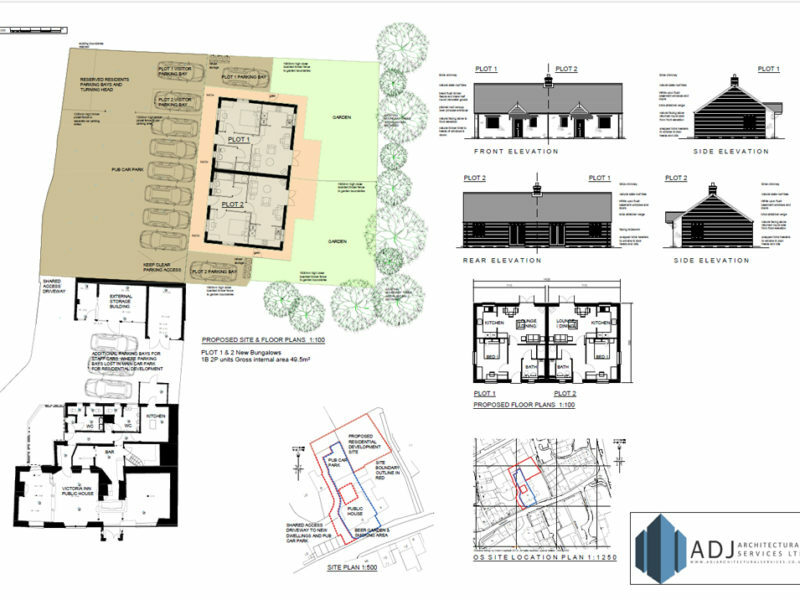 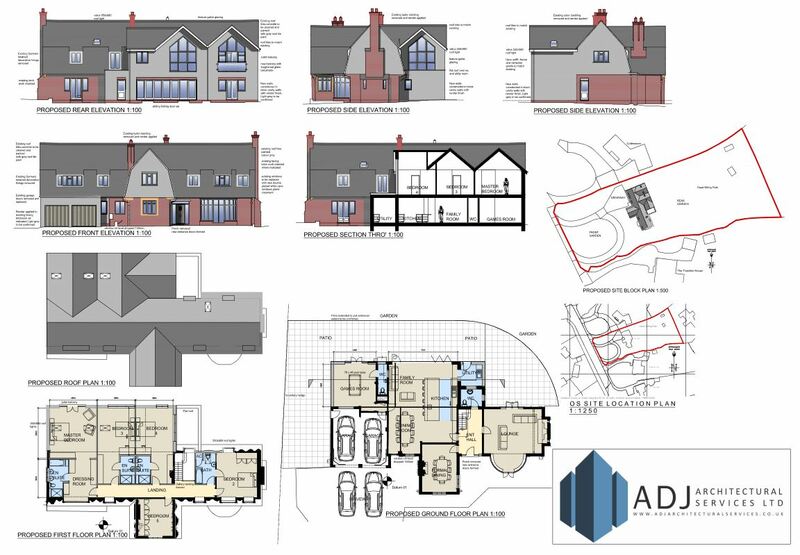 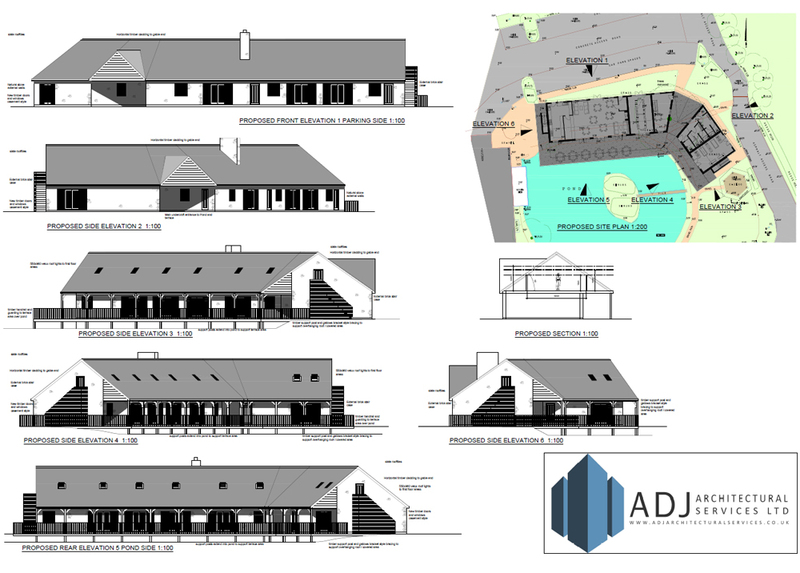 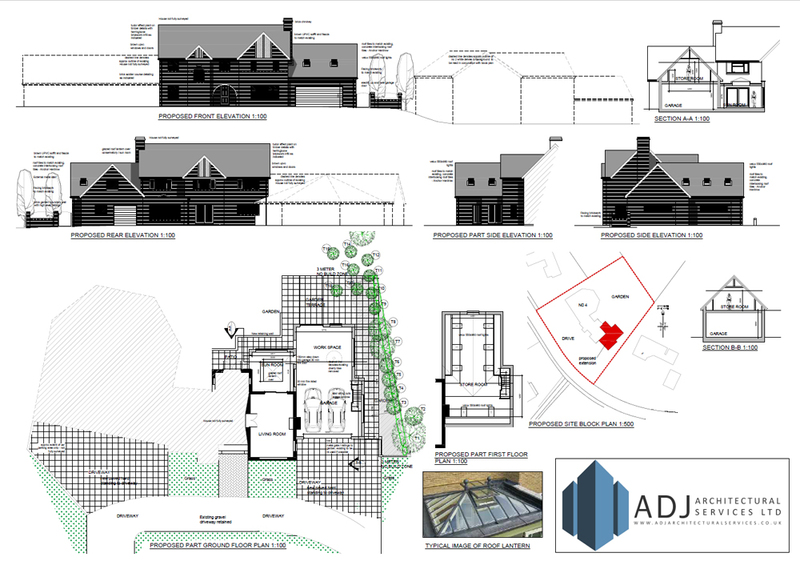 typical examples of some of our scheme and planning drawings are shown. 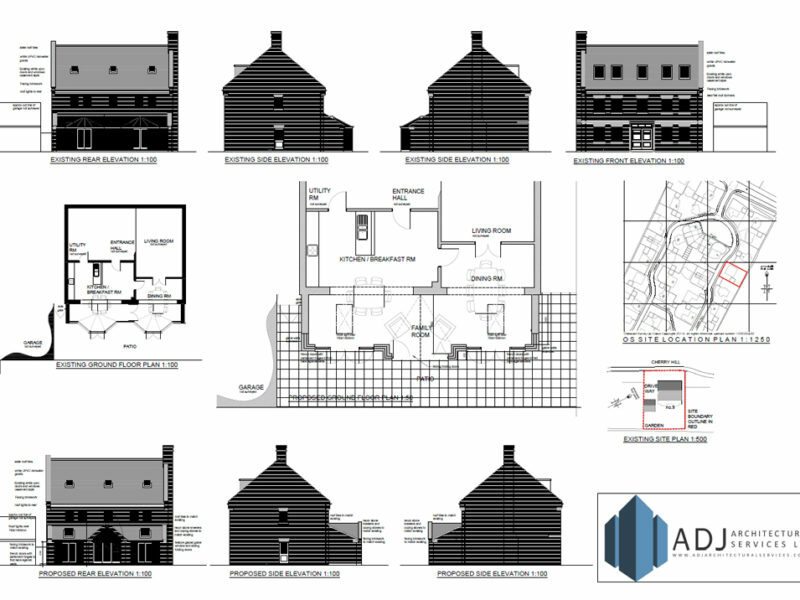 For new build properties, listed buildings and projects in conservation areas additional information such as Design and access statements, justification statements and such like are often required, we can produce these in support of our applications. 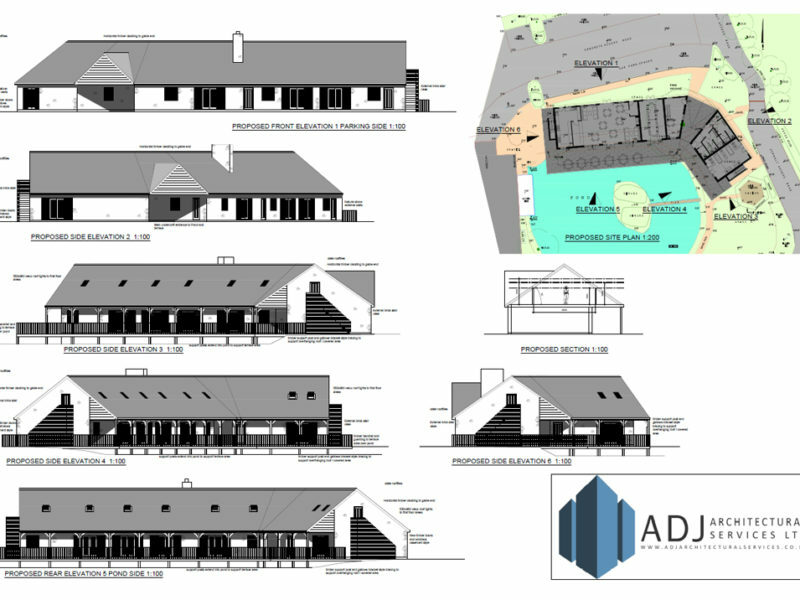 For other sites particularly, barn conversions, sites with or near trees, or contaminated sites etc. 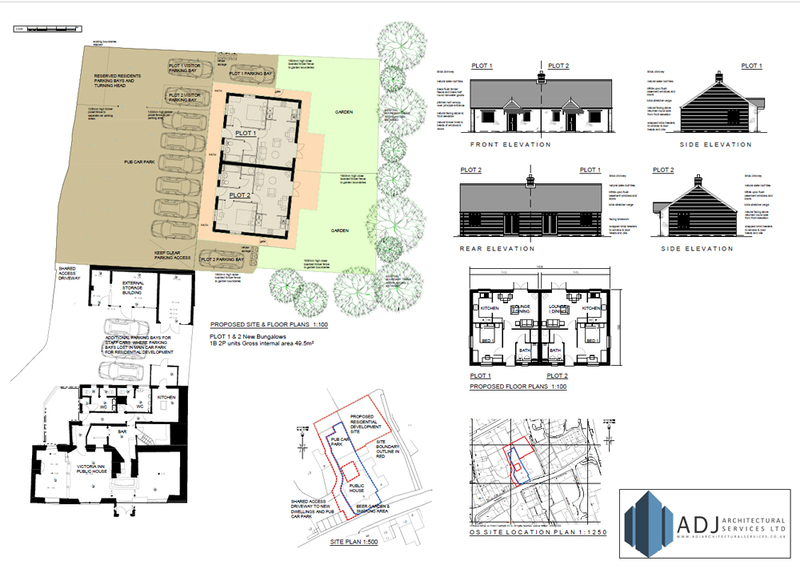 may require additional specialist information required such as arboriculture and ecological surveys, again we work with other consultants to collate this information. 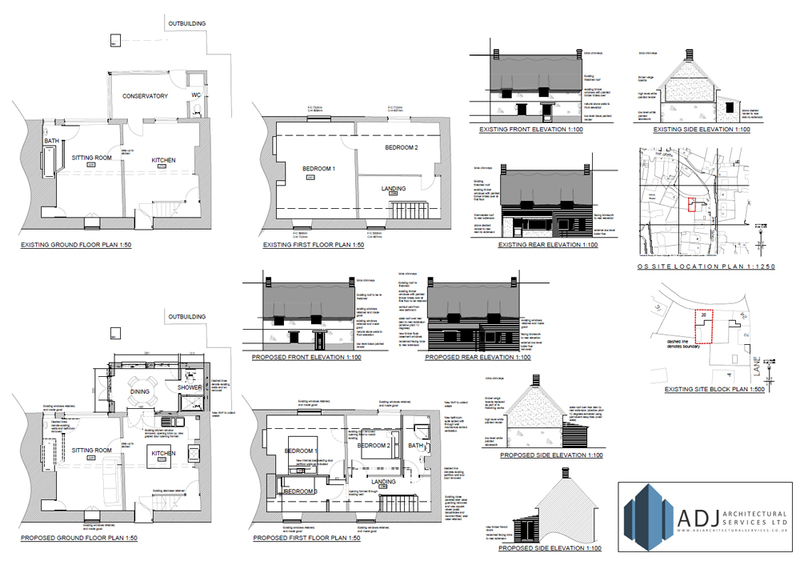 Need help with the planning application process? 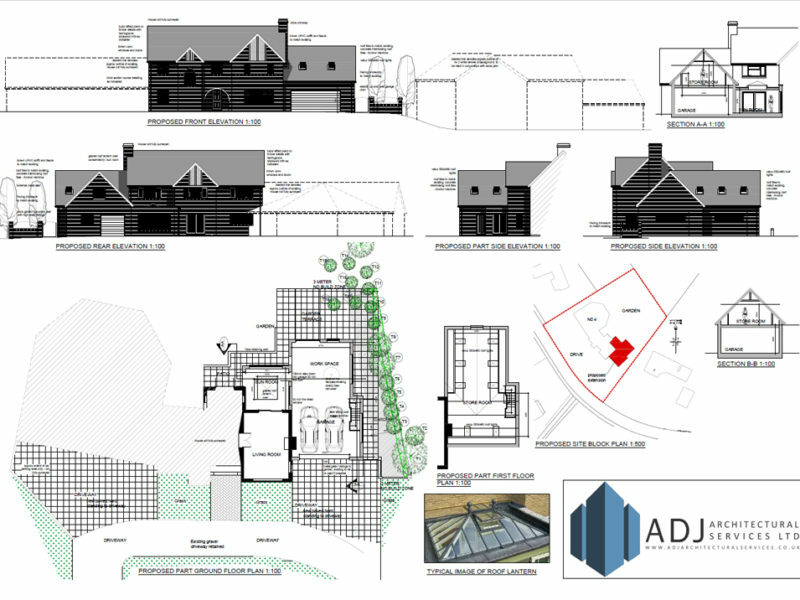 For a professional help and advice.